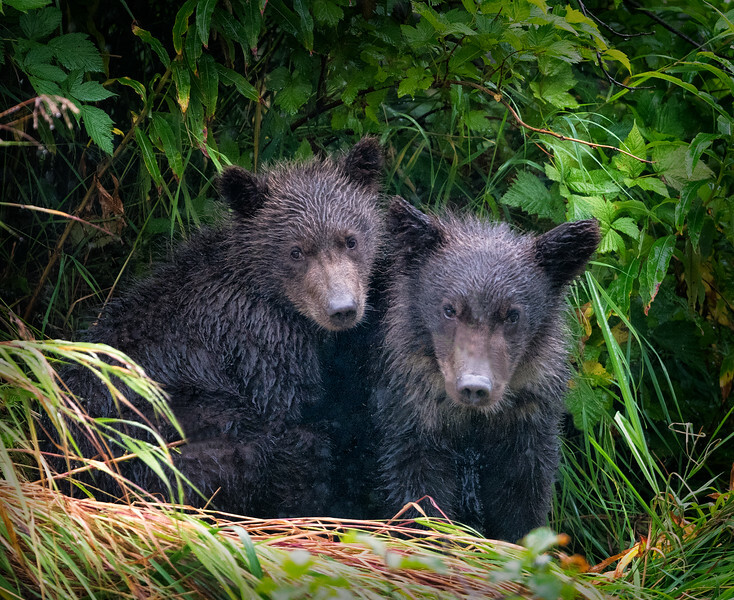 They were hiding in the bushes watching their mother fishing below. 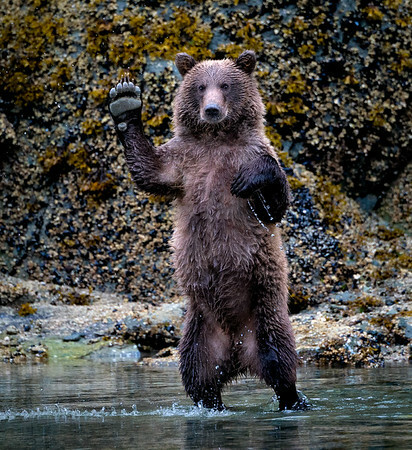 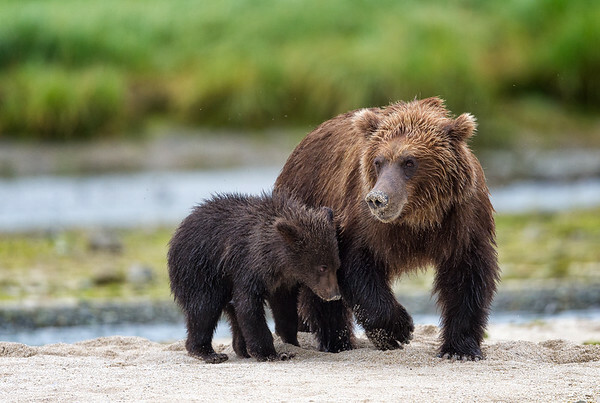 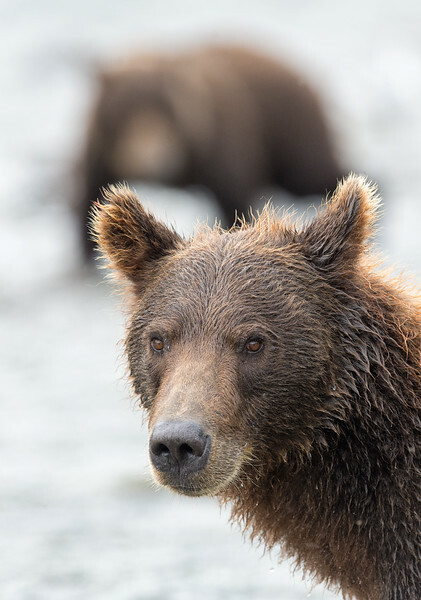 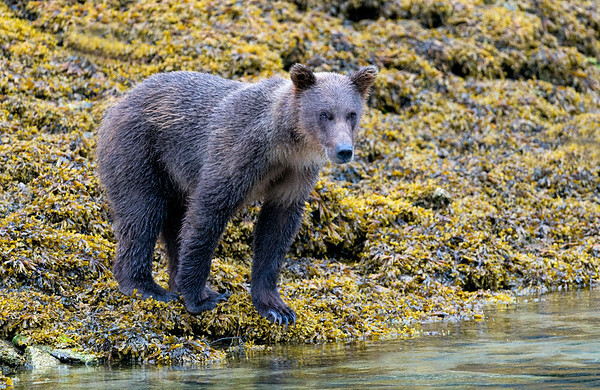 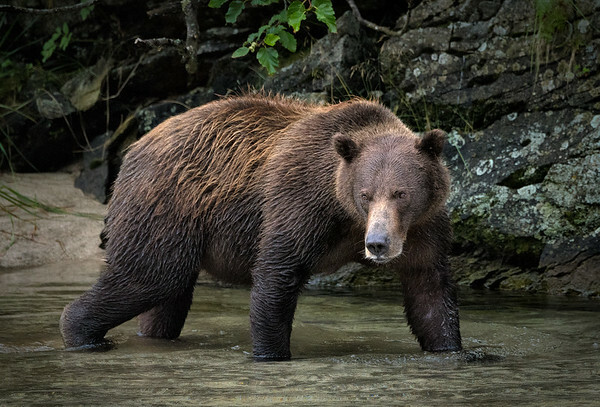 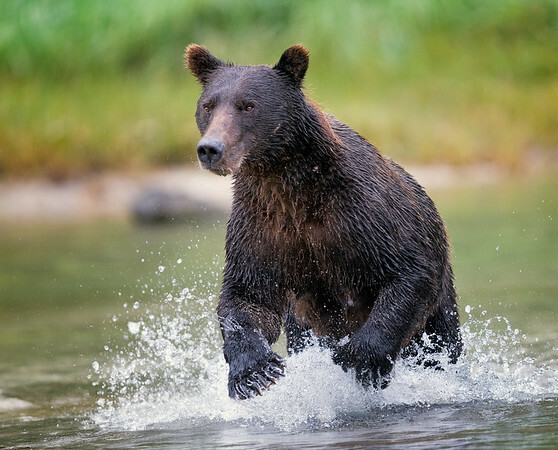 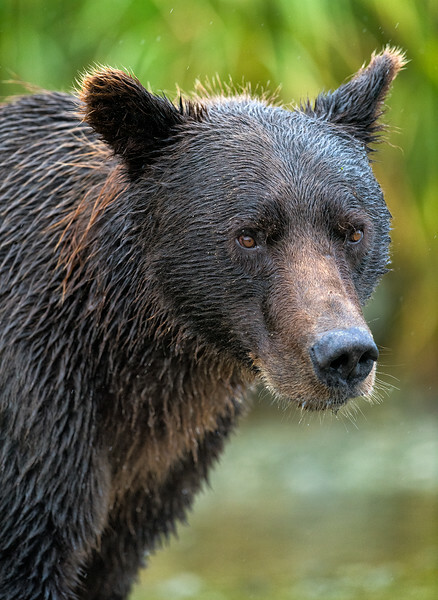 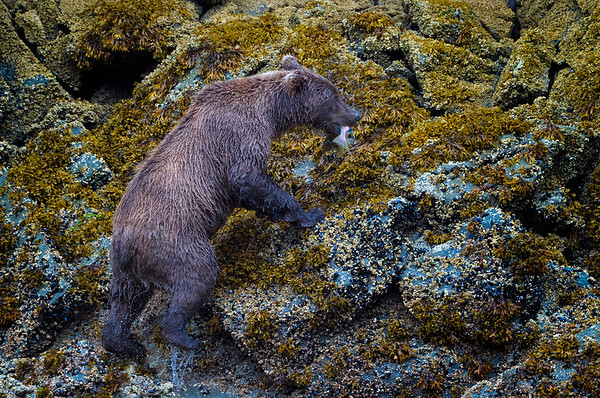 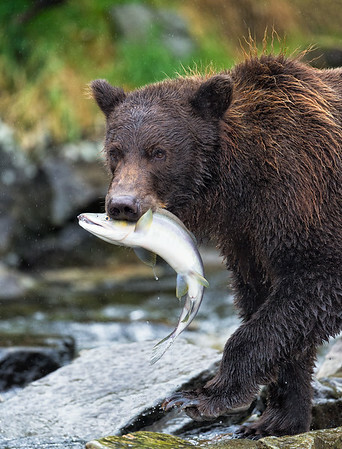 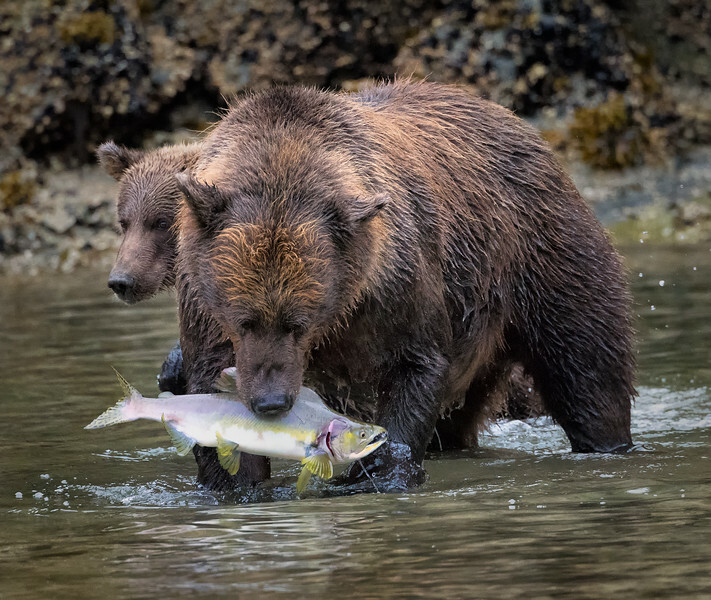 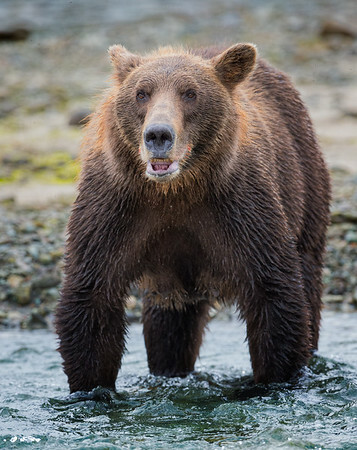 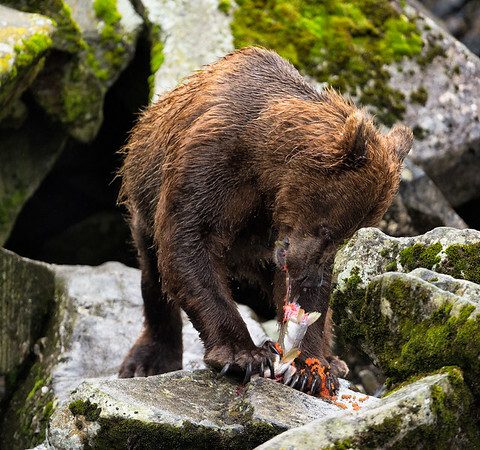 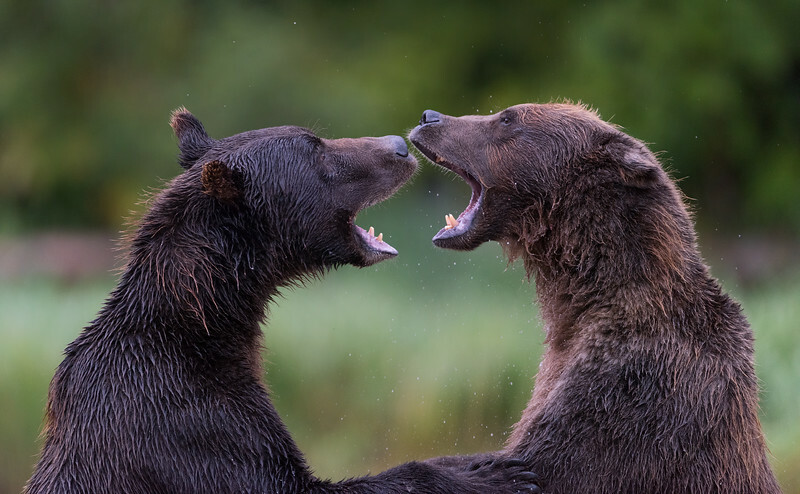 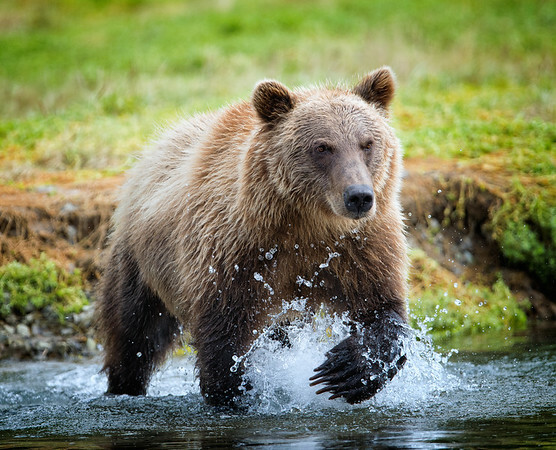 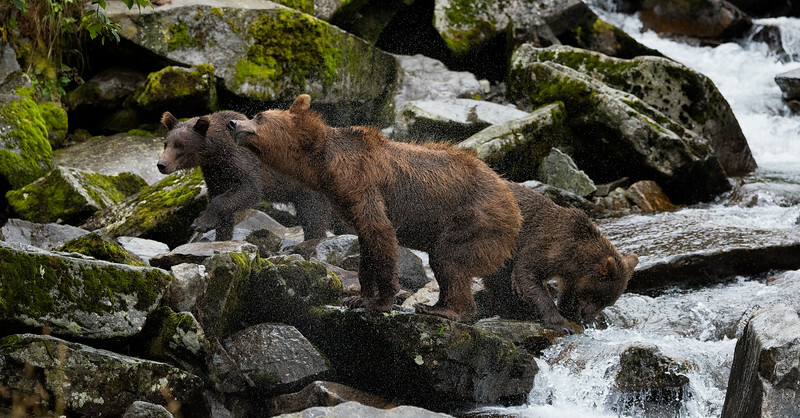 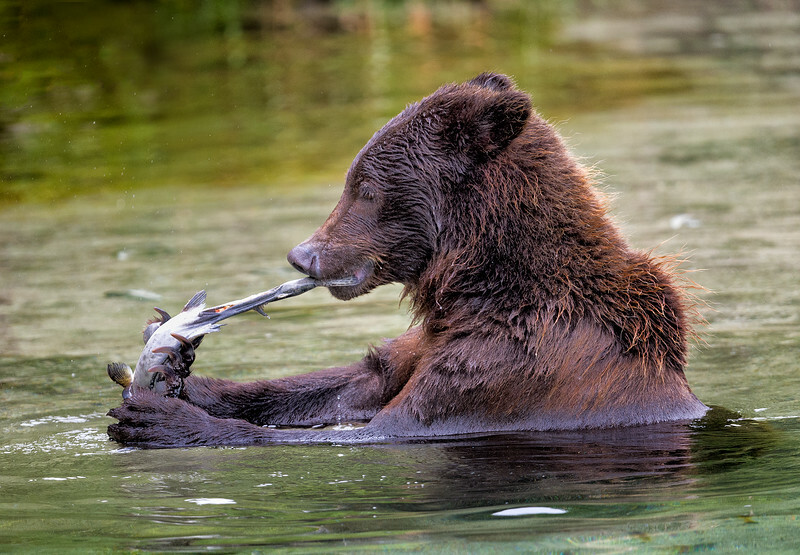 Push/Pull: How a Kodiak bear eats a salmon, lacking a knife and fork. 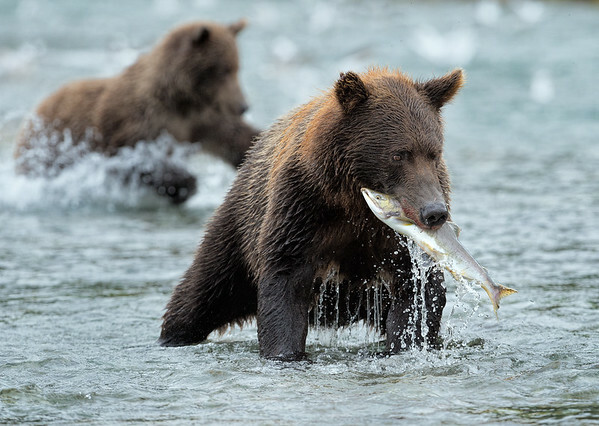 note the roe in this female salmon - the orange/red specks in the fish. 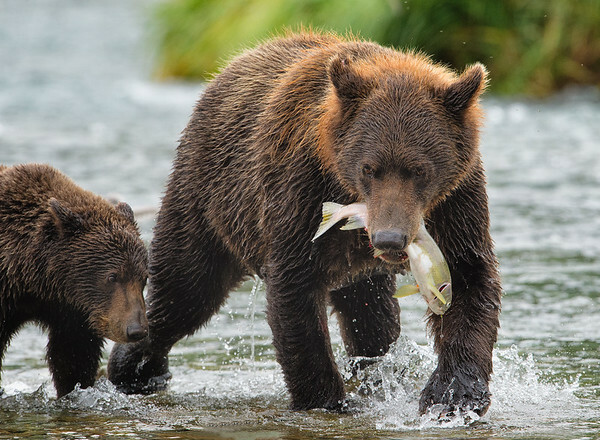 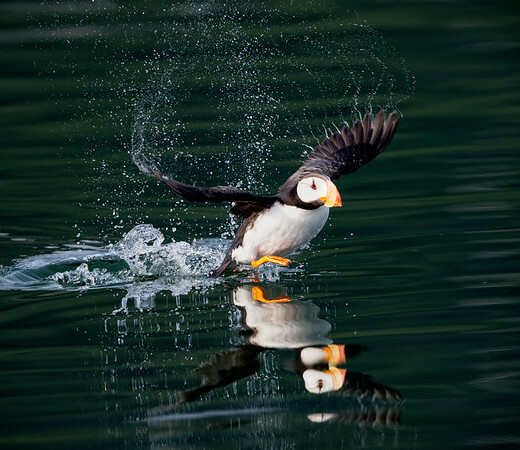 Instruction and longing: when will I be able to fish like Mom?